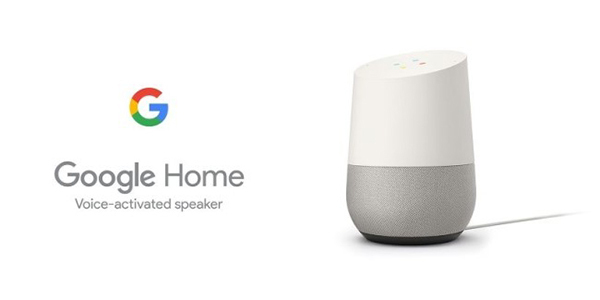 Global IT behemoth Google will launch multiple-language voice-enabled digital home assistant in Korea next week, challenging Korean electronics hardware household names Samsung and LG as well as mobile wireless players SK, KT, and Kakao in home connectivity market. The Google Home and smaller Google Home Mini perform a variety of tasks on command, such as playing music, reminding users of appointments and searching requested information. The IT giant Tuesday announced that the devices are available from Sept. 18 in Korea at a price tag of 145,000 won ($128.52) and 59,900 won, respectively. The Google Home debuted in the U.S. market in 2016 is leading the global AI speaker market with Amazon’s Echo. Google faces potentially fierce competition from a host of local AI speaker competitors such as SK Telecom, Naver and Kakao. The smart assistant is compatible with more than 5,000 smart-home products from 225 partners worldwide. In Korea, it is compatible in home appliances of LG Electronics,, Kyungdong Navien heating and Coway purifier products. The Google Home also supports two languages, chosen from Korean, English, German, French, Italian, Spanish and Japanese and can recognize as many as six voices and provide personalized answers for each speaker.